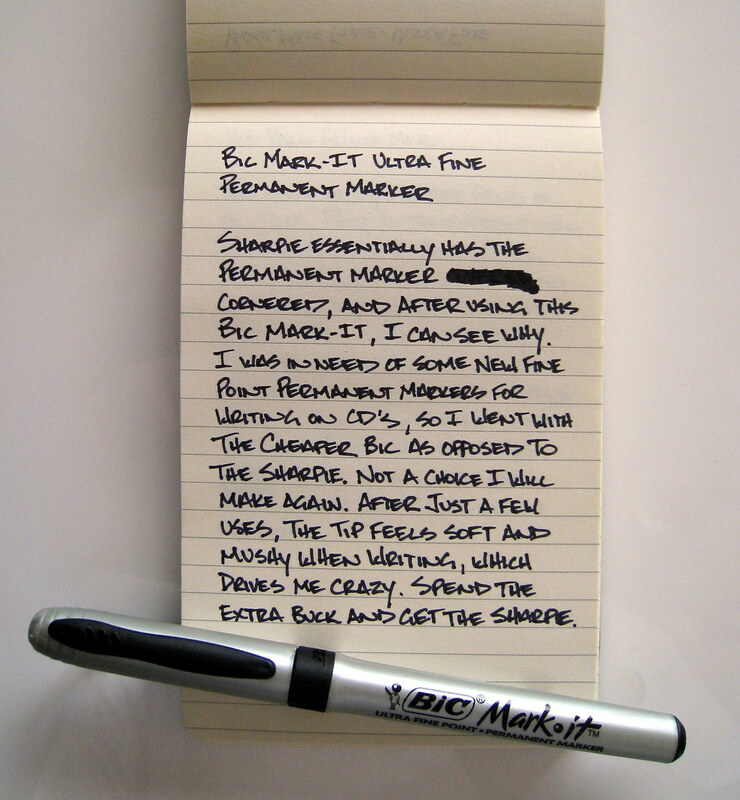 I like the design and the price point of the Bic Mark-It permanent markers, but they really can't hold a candle to the Sharpie permanent markers. After marking up a few cds I had just burned, the tip was already going soft, and there is now a squishy feel when writing, which drives me nuts. I'll stay strictly in the Sharpie camp from now on. Posted on May 21, 2008 by Brad Dowdy.